It’s great having music on your phone because it’s always with you wherever you go. 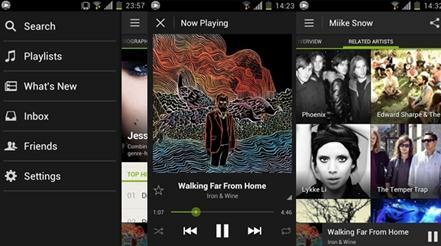 You can listen to your favorite tracks at the gym, in the car or anywhere else you frequent. However, it’s even more convenient if your MP3s are stored in iTunes because then you can access them from your lap top, tablet or other devices as well. So how to transfer music from phone to iTunes? The process of transferring music and other data between devices used to be tedious and rather time consuming. It involved connecting multiple cables and then manually importing every single MP3. These days, the process to transfer music from phone to iTunes is significantly simpler thanks to iSkysoft Phone Transfer for Mac ( or iSkysoft Phone Transfer for Windows), an innovative, powerful transfer system for iOS, Android and even Symbian. Now you can transfer your music– as well as photos, video, SMS text messages, contacts, call logs, calendars apps and basically any other type of data from phone to iTunes in a single click. Download the program and install it with the help of on screen prompts. Then launch the program. Select the “Phone to Phone Transfer” tab and then “Start” to initiate the transfer. Use a USB cable to plug your phone into your computer and then this program will begin a scan automatically, once a compatible device is detected. All you have to do is select the music you want to transfer to your computer. Once you have made your choices, click “Start Copy” to begin the transfer process. It's that simple! Once you have the music loaded onto your computer, adding them to iTunes is simple. Just open iTunes, and under "File" select "Add Folder to Library." 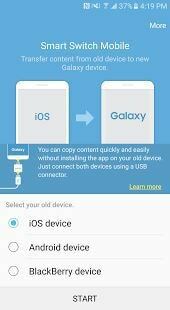 Choose the folder where you imported your phone music via iSkysoft Phone Transfer. Once you have the folder selected, the importing process will begin. If you have a lot of music files, this can take a few minutes. After the process is completed, your phone music files will be in iTunes and you will be able to conveniently access them on any device that you have iTunes installed. Best of all, you don't have to worry about misplacing or breaking your phone and then losing all of your music files as a result. iSkysoft Phone Transfer is not just about convenience– it's also a safe, effective backup tool for your essential phone data. 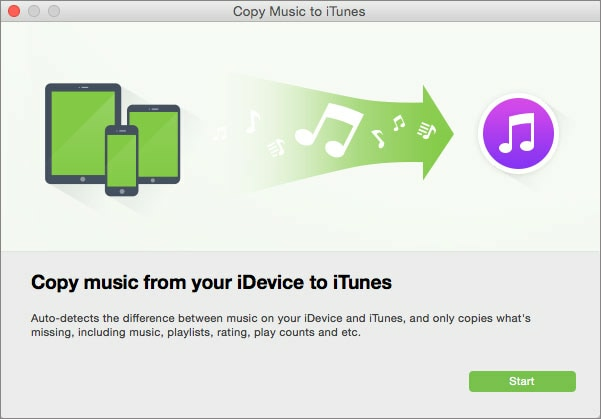 If you want to transfer music from iPhone, iPod or iPad to iTunes, iSkysoft iTransfer for Mac (or iSkysoft iTransfer for Windows) can be the great helper, which allowing you to copy all music from iDevice to iTunes in only 1 click. 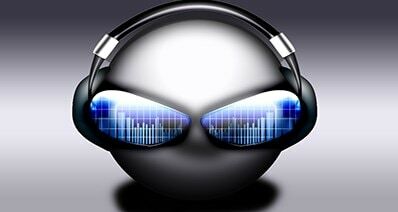 It can detect the music files on your devices and intelligently copy only the missing music. The transfer process is very simple. Step 1: Install and launch iTransfer. Step 2: Connect your device to the computer. Step 3: Click "To iTunes" and select the music files to transfer music to iTunes.